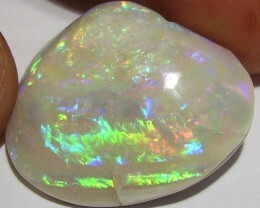 Folks here is the most valuable and beautiful shell I have had to offer you. 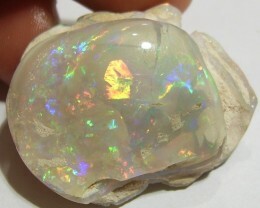 It weighs a massive 106 carats and measures 37 x 35 x 19mm. 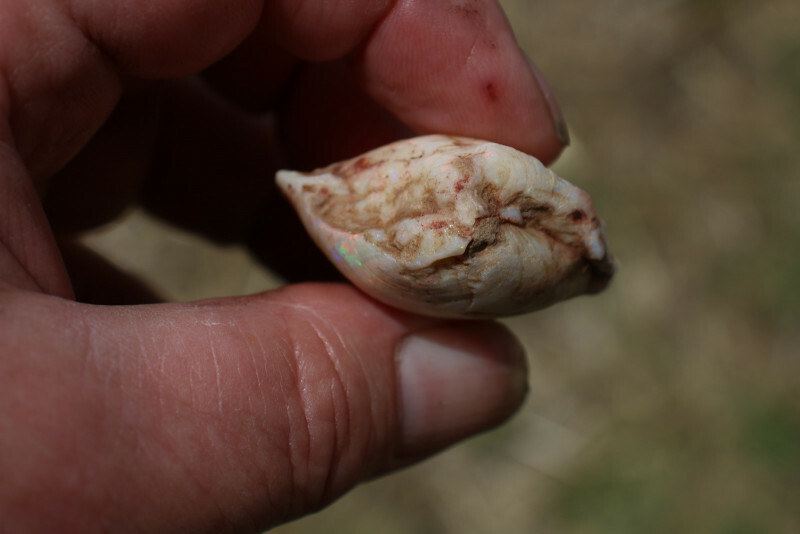 Now this is not a mud shell, one filled with ancient mud or even filled with sand. 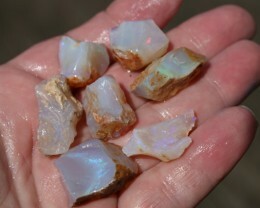 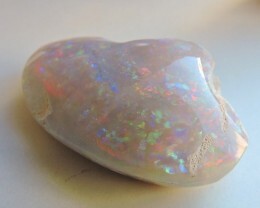 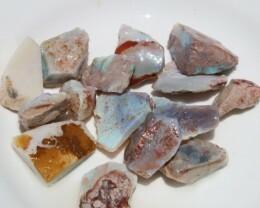 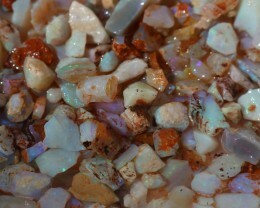 It is filled with beautiful clean crystal Opal. 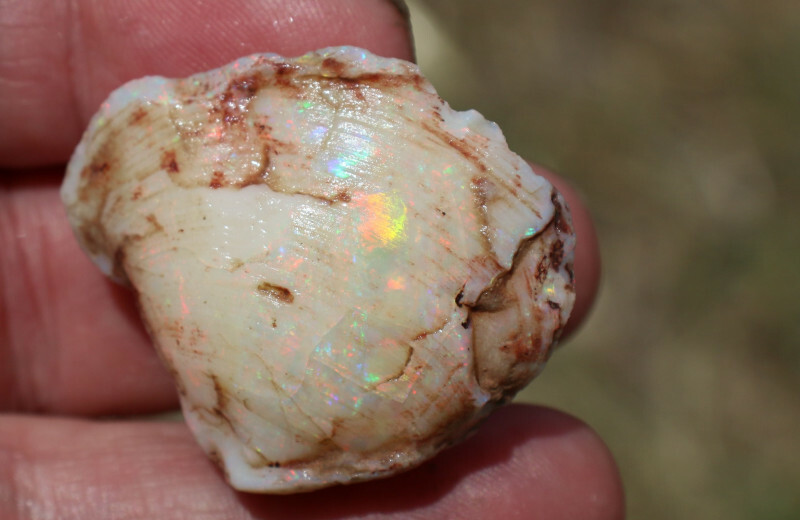 106 carats of solid crystal Opal that happens to be an ancient clam, around 80 million years old that lay on the bottom of the ocean and for once, perhaps onec in a million times, did not fill with sand or mud. 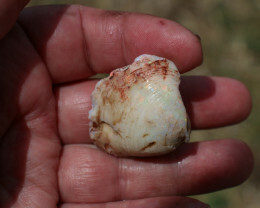 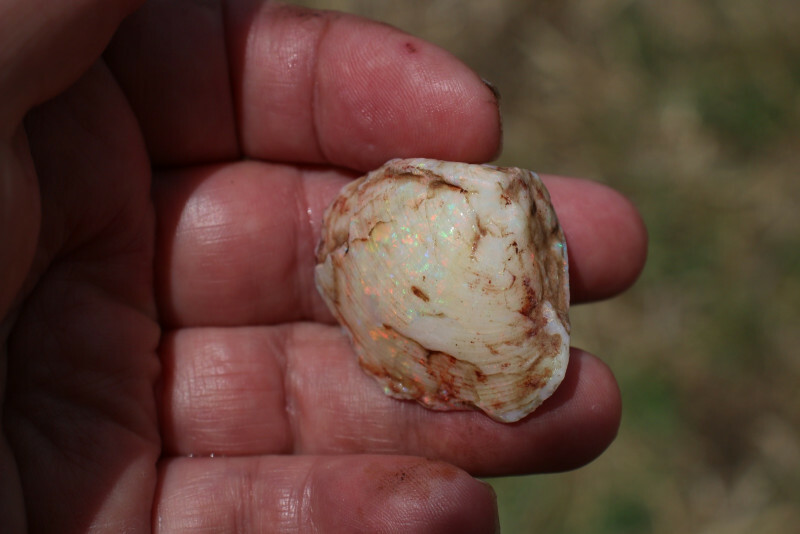 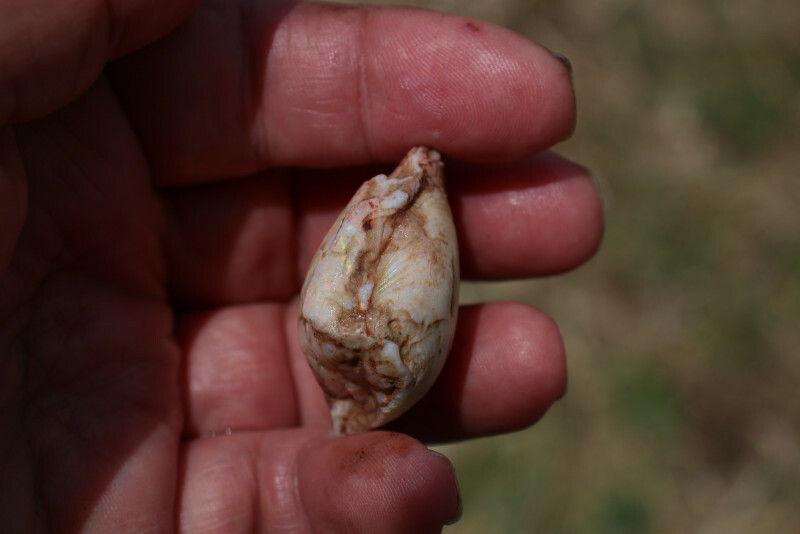 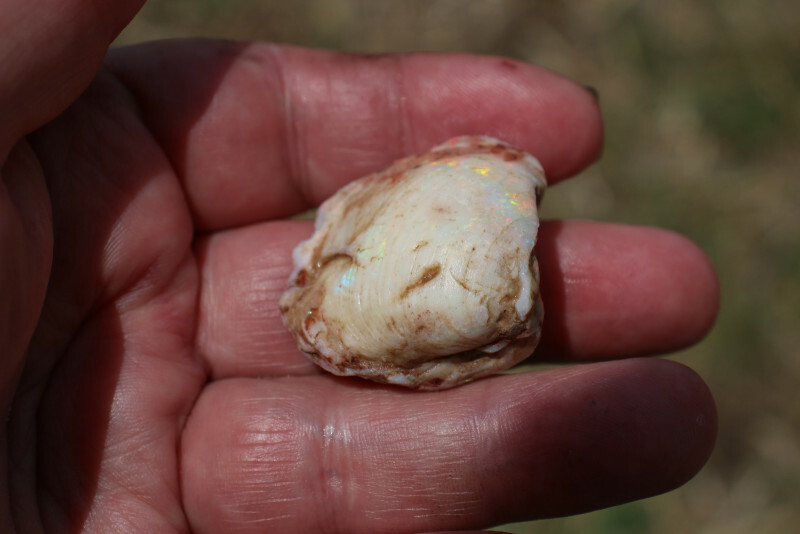 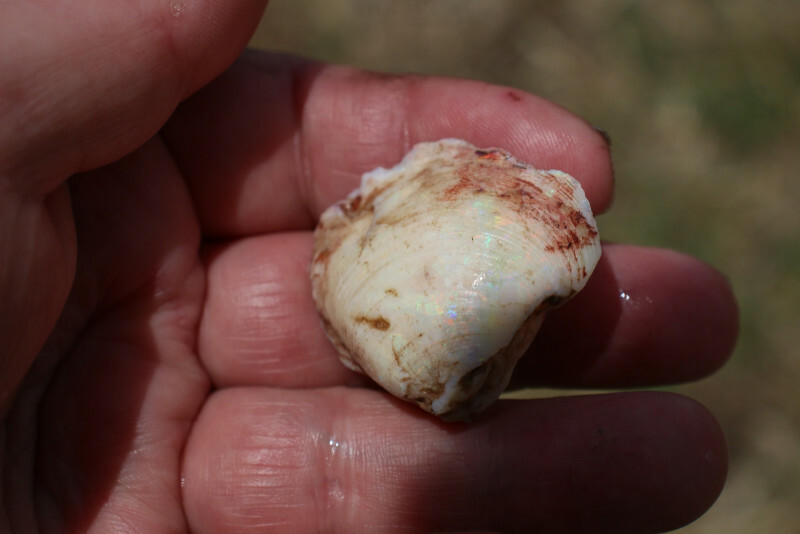 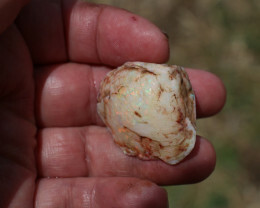 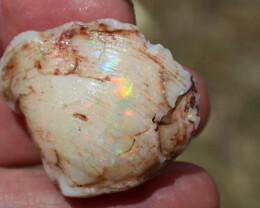 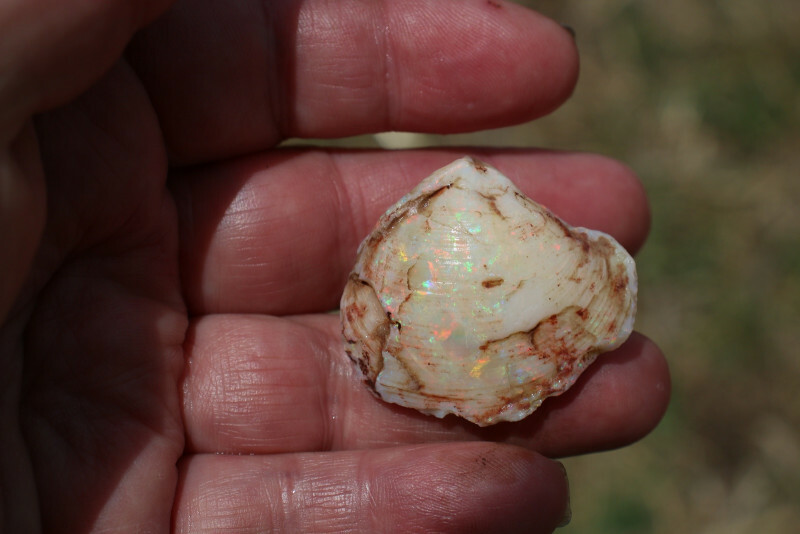 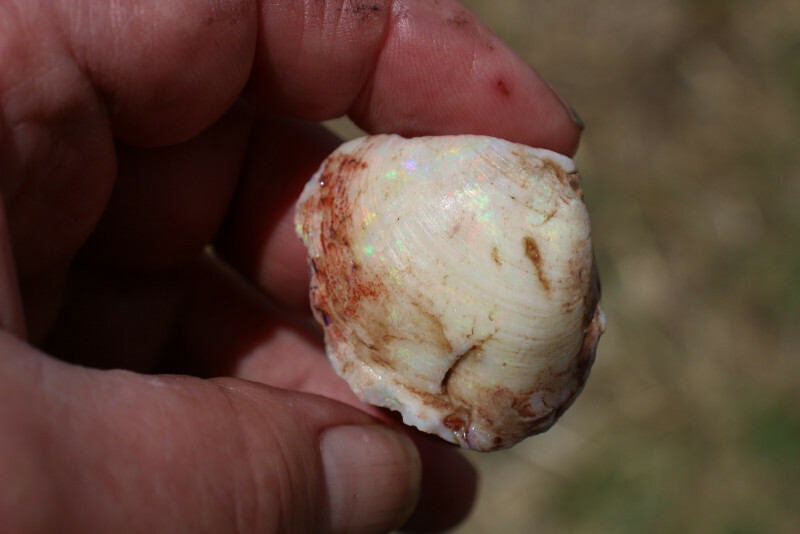 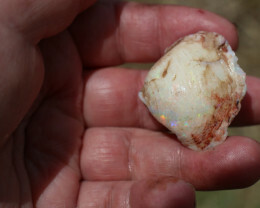 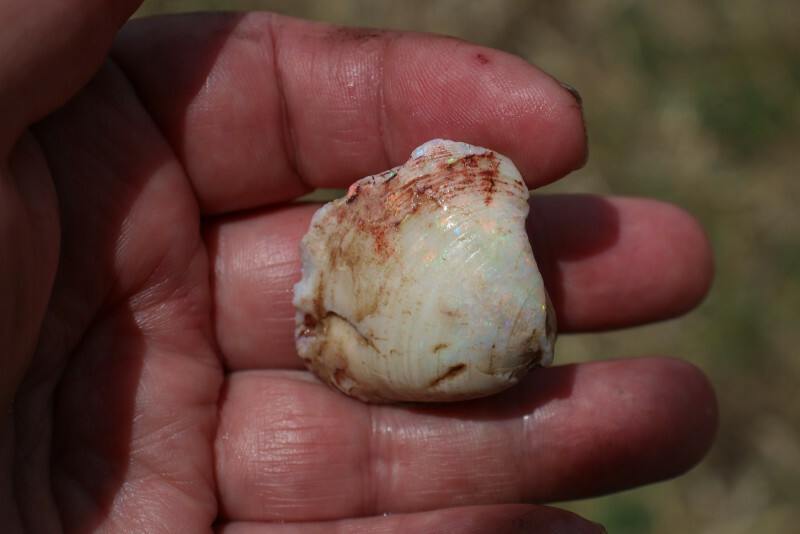 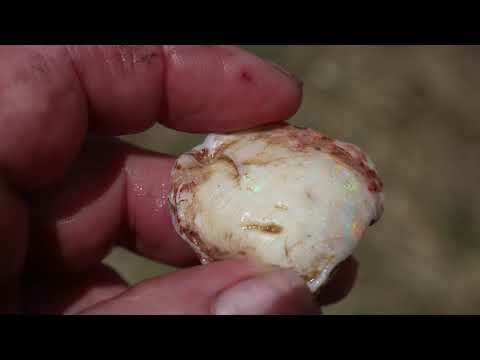 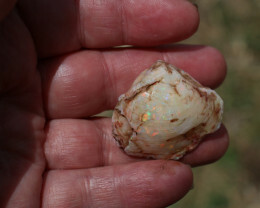 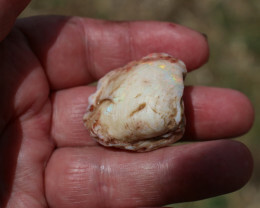 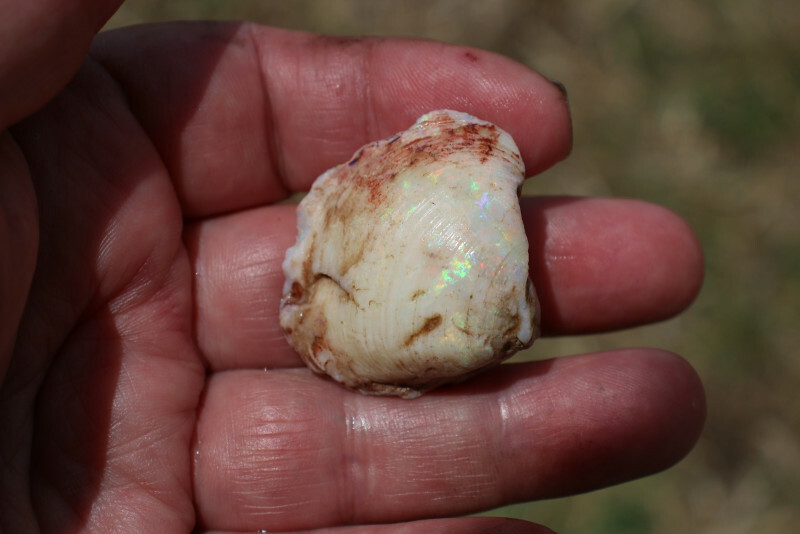 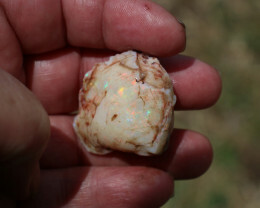 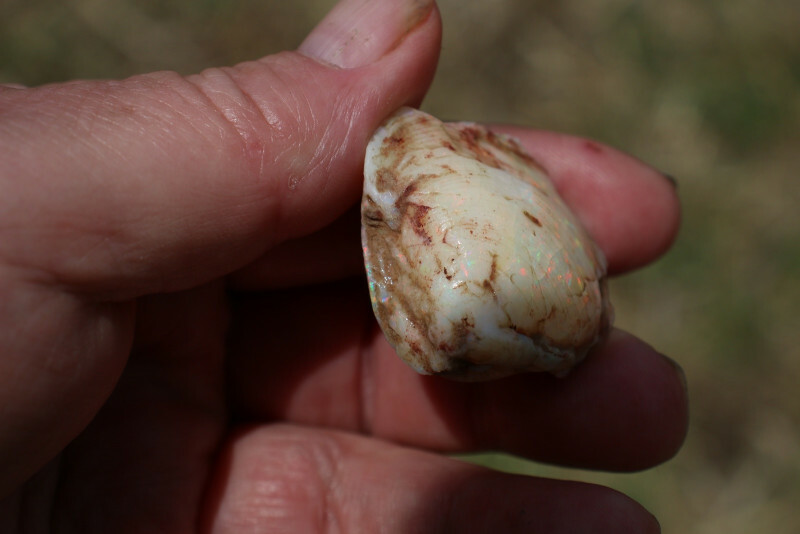 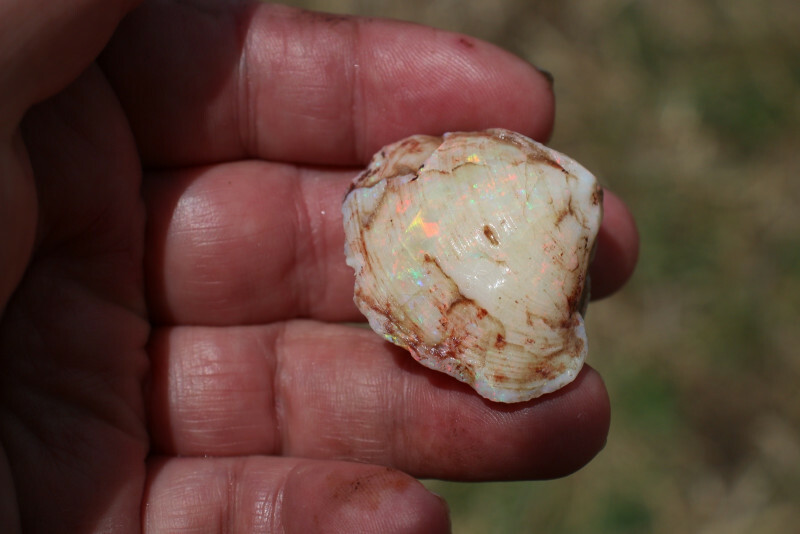 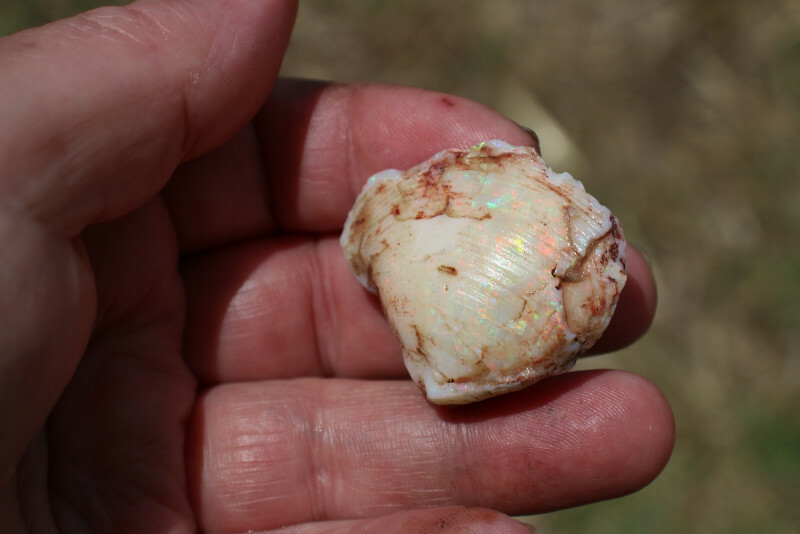 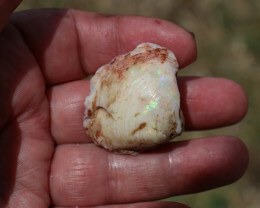 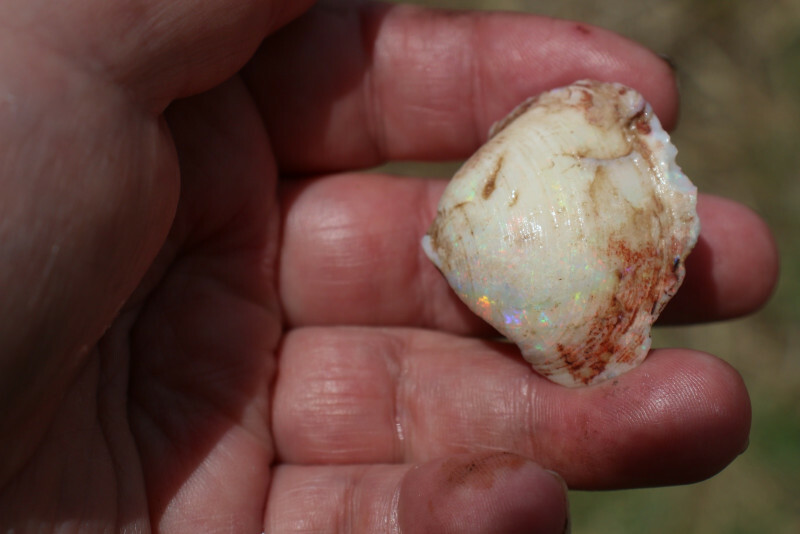 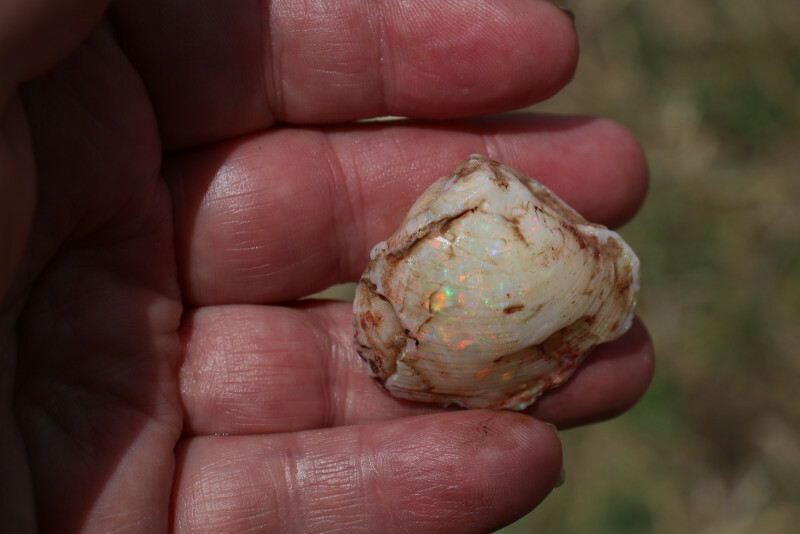 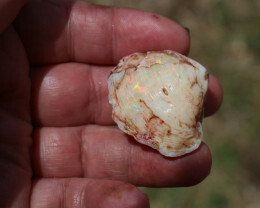 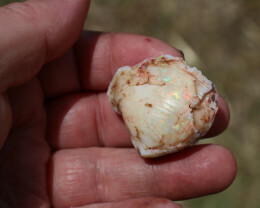 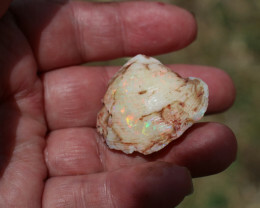 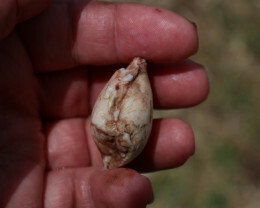 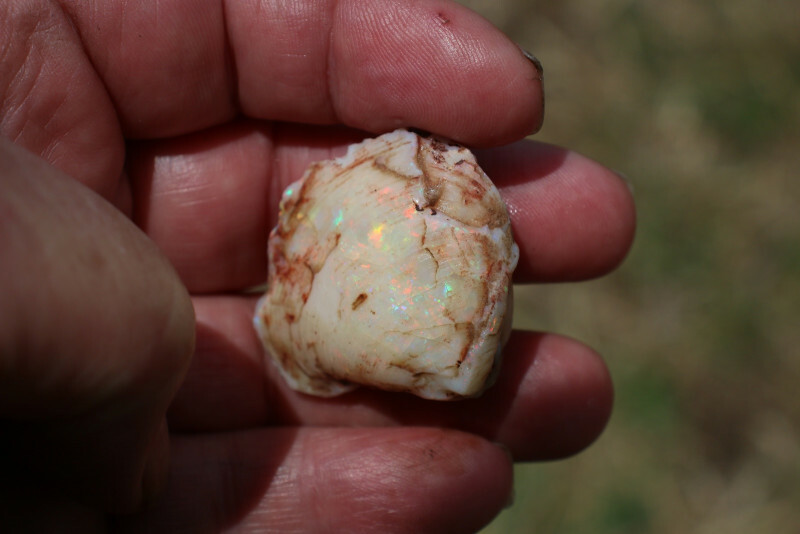 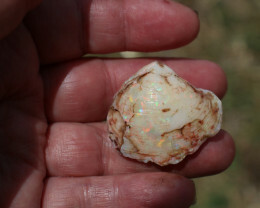 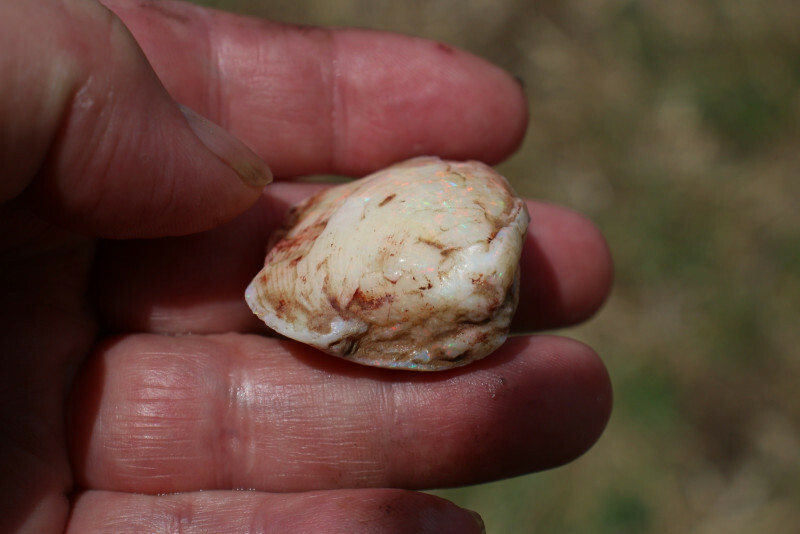 It lay there and was covered with either, the shell largely rotted away and the void was filled with liquid opal that settled to form this lovely Gem shell. 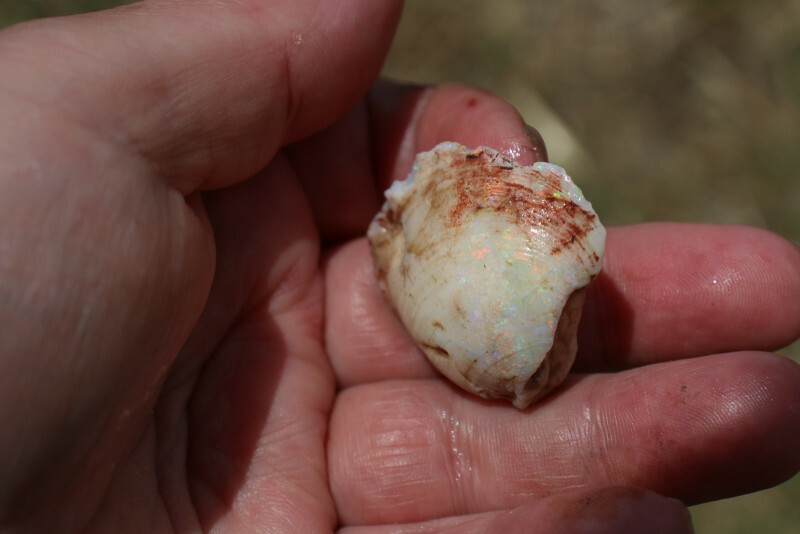 There is every color in the rainbow in this shell. 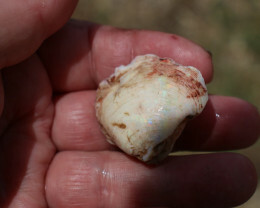 It will be a shell full of super bright broad flash color when cleaned up. 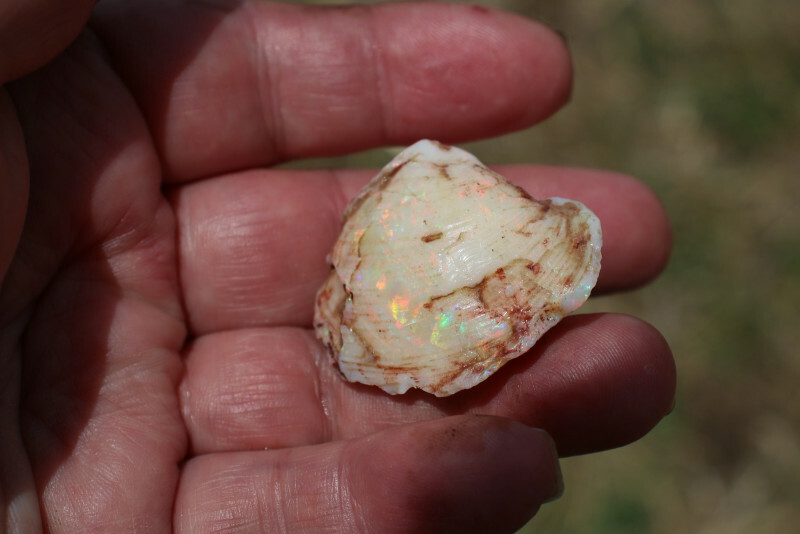 You can leave this shell as is to appreciate, or just clean the surface for a magnificent specimen. 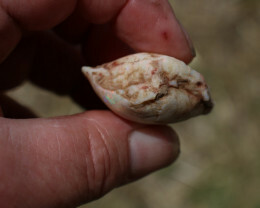 That would leave all the detail of the shell, which is very good as is. 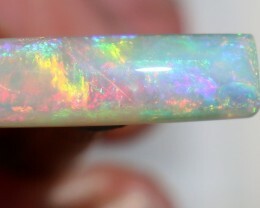 If you want to spoil yourself, you can clean it up good and proper and make yourself the most magnificent monster ring stone. 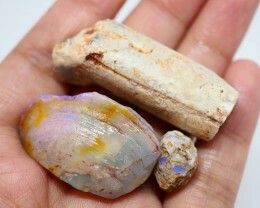 It is up to you to decide. 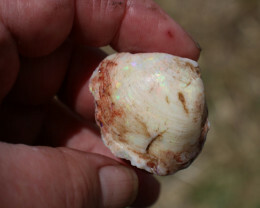 Usually shells whith this much potential are sold cleaned up and polished to perfection before they hit the market. 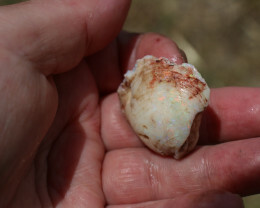 Here is a genuine chance to get a Gem shell at a bargain price for what it is. 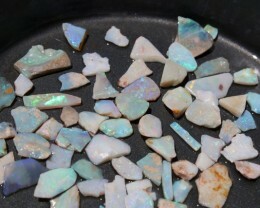 When cleaned up it will be worth $250 per carat and up. 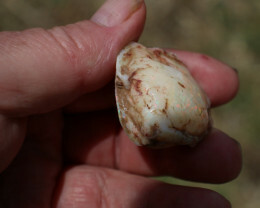 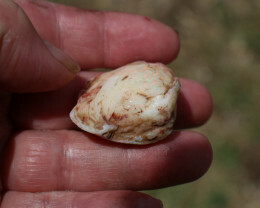 You will be able to see into this shell like a crystal ball and you will be able to seel the color radiate from within the shell as well as on the surfcace. 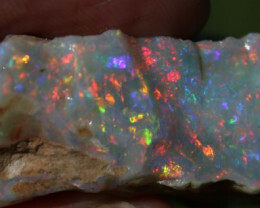 If you have been looking for a special Opal, this is the one.